OMG – this is so adorable. 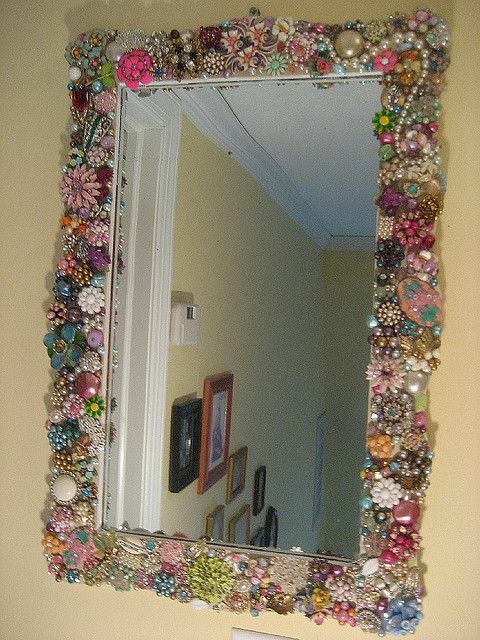 I may have to make one of these with all of the vintage jewelry I have. I have had gals purchase a lot of jewelry for different projects, and bridal bouquets, but this is just amazing! I hope I have inspired you to create something with vintage jewelry. If you don’t have any of your grandma’s we have a lot available at the store! I LOVE it =) !!! I may have to make this!! !